Final Fantasy V Four Job Fiesta Complete! 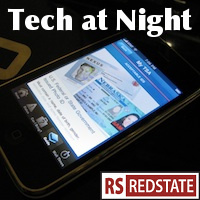 Tech at Night: The government’s data collection. Snowden pals around with dictators. Remember “Don’t be evil?” Even as Twitter plans to honor Do Not Track, even on MS Internet Explorer, Google apparently won’t. I mean, I don’t think I buy that Google is a criminal organization, but Google is also violating European privacy law still. Sure, Eurocrats are showing open bias against Americans, but selling information about you is their business. Heh, also in Europe, the EU passes the law that they got Aaron Swartz on, though they’re probably doing it to criminalize spying. So, it cuts both ways, guys. And now for a laugh: Kim Dotcom thinks New Zealand is going to spy on him and all New Zealand citizens. All that money he pumped into the system to buy his way out of legal trouble only goes so far, apparently. California’s government smells something fishy in Bitcoin and is going after organizations involved with it. They’re complaining of course. With Bitcoin plunging in value, down about 70% from the high of the bubble, they’ve got to find new suckers to keep the scheme going. Bitcoin’s community is flooded with criminality. New Bitcoin-related criminal enterprises just keep being discovered. And don’t even get me started in Bitcoin mining rig scams themselves.